Who is this kid? Another kid targeted and marketed for MJ appeal? Probably true. But, this jam is the roller of the summer. For months (during late last year) I was cruising around with the sunroof open, windows down and this song on blast. It got honorable play at our Sweater Funk Steppers gig as well. Not exactly a stepper, but close enough. Truth is, this is probably more of a 'New Edition' kind of music marketing than MJ. 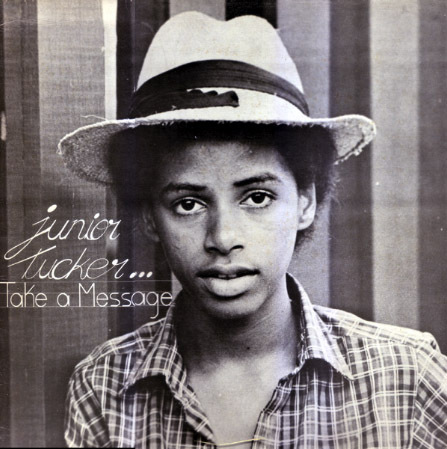 Because Junior Tucker was born and raised in Jamaica and had a career mostly with Reggae and Dancehall. It seems only further proof that beautiful modern soul jams like this fit into the puzzle piece of what steppers are all about, at least on European soil. And, that is a close relation to Jamaica grooves of the same ambiance. At the end of the day this is just an incredibly beautiful jam. enjoy.